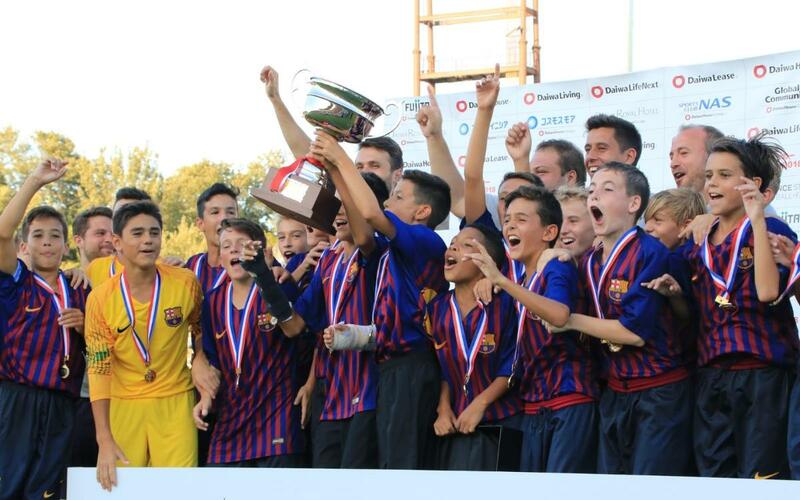 FC Barcelona have won the Junior Soccer World Challenge in Japan for the third time in a row after seeing off Club Tijuana 5-4 on penalties following a semi-final that ended without score and then winning the final 3-1 against Arsenal to collect the trophy. And as usual, the Catalans put on a wonderful display of the famous La Masia style, while also spreading the club’s wonderful values by competing in the truest spirit of fair play. All in all, the boys have been a credit to themselves and their club and are coming home as worthy champions - click on the video to enjoy the highlights!